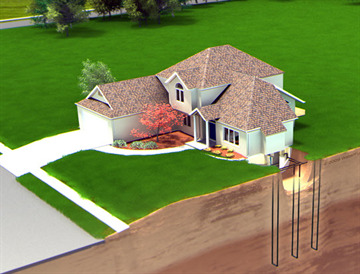 Today more than ever, investing in geothermal Oklahoma systems create big savings. Key factors say now is the time. First, we have a mature market that fully understands the variables involved to design, fabricate and install a successful ground loop system. Second, the Green Initiative which drives financial incentives. Third your monthly energy savings. Work with a team who understands the technical aspects of installing a ground loop system to maximize your GSHP output and lower your gas and electrical needs. Today you can take advantage of state and federal tax incentives along with PSO rebates. Tax incentives of 30% existed previously and are included in the new tax bill. Couple this with the energy company rebates and you have a substantial cost savings. Our knowledgeable staff has worked with client projects to guide them in tax incentives. It is a well documented fact that geothermal systems reduce your total heating and cooling costs up to 70%. An EPA study of energy efficiency concluded "geothermal energy is the most environmentally friendly heating/cooling system available". With an expected lifetime of 50 years, a geothermal loop system is likely the last heating and cooling system you will ever need. 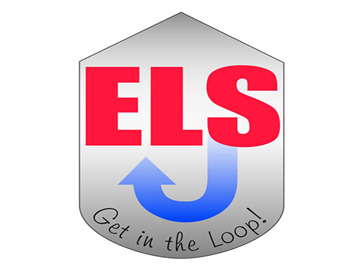 At Environmental Loop Service we help you get the right geothermal heating and cooling system in Oklahoma, Arkansas, Missouri and Texas. Regardless if your heating and cooling needs are for your home or commercial structure, our experts are your best resource. We have been helping people just like you since 1980. Vertical drilling provides a low footprint solution. EPA study of energy efficiency concluded geothermal energy is the most efficient renewable source available. Environmental Loop Service is a geothermal design build company. Our goal is to design a geothermal system that minimizes your energy expense and maximizes your physical comfort. We achieve that goal by understanding your heating and cooling needs. From that we design, fabricate, drill and install an energy friendly heat exchange system, using geothermal technology.